The Christmas couldn’t be as relaxed and stress-less as I was planning. I needed to get a bit stressed out if I wanted to explore the other culture and the way French people live. I do not have many barriers in learning and experiencing new cultures as I love challenges so here you are! I asked for frog’s legs for a dinner one day. It looked so funny that i think i lost all my stress and worries that I am really going to eat the frogs..those little green small frogs which jump and jump so quickly that you really struggle to catch them, dont you? I would even not try to do that; so now I wonder on how you can get so many of them in the shops as you really need many of frogs to make a meal as the legs are tiny, little and yes – I will admit it, they are tasty. So we got 1,5 kg of frogs legs, we put them in the four and then deep fried in the oil. Healthy not healthy…I am not sure but I am sure they were healthier then the deep fried french fries as those will not bring you any vitamins and minerals and prioteins which the meat (frogs legs) gives you. But who can resist the french fries? I was surprised on how quickly you can make the meal which consists of french fries and frogs legs. But I was also surprised on how quickly you can eat all of this and how addictive the frogs legs are. You just keep adding one after another and I am not saying here about one frog’s leg after one another but a pile of frogs’ legs after another. 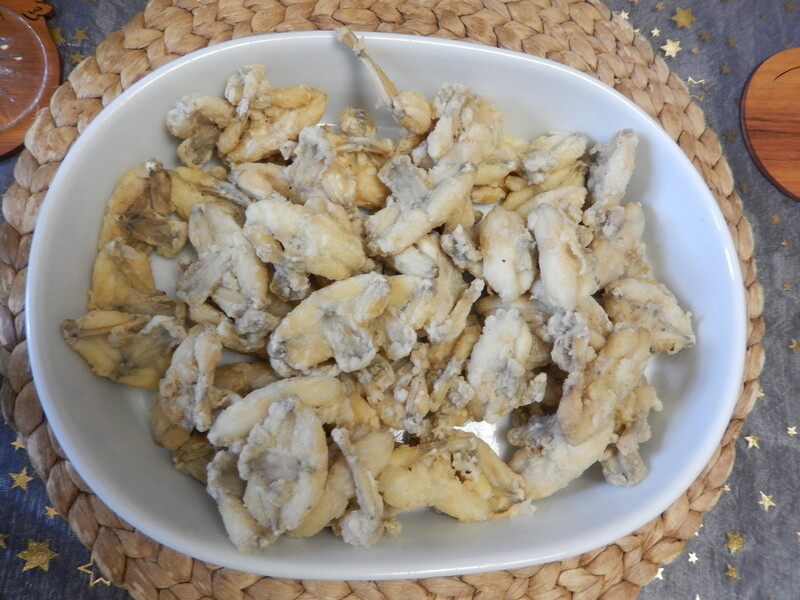 So there is nothing scary about frogs legs at all but if you are scared of eating those little green friends, just try to think about their very good taste and honestly it is worth it! 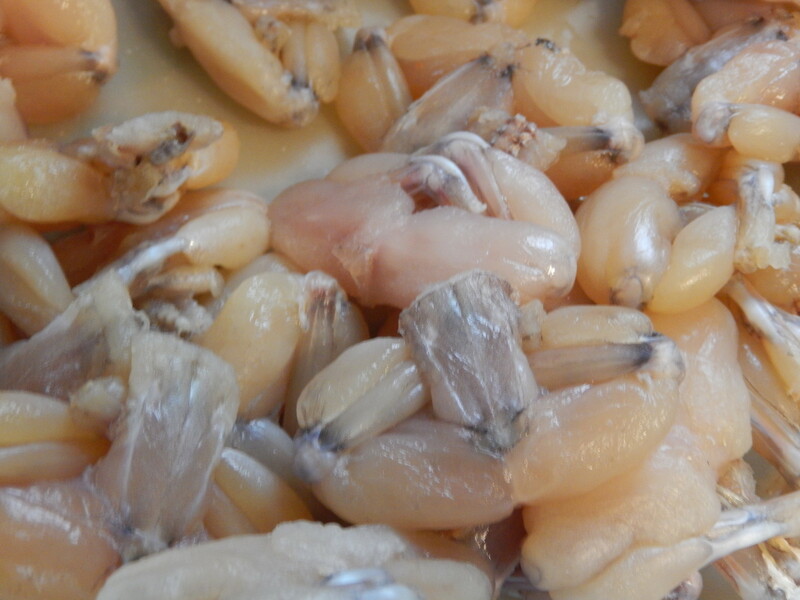 So dont wait longer and get your first experience with the frogs’ legs whenever you have a chance.